100% Selectivity — for low turnover, high SKU inventory. 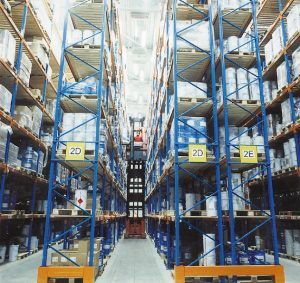 The most common storage rack type is selective pallet rack. 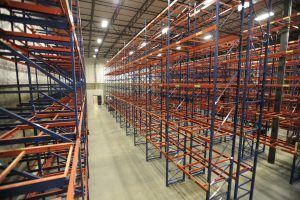 With benefits such as low cost, easy to assemble and reconfigure, and direct access to multiple SKUs it is no surprise that selective pallet rack is a go-to material handling solution. At E-Distribution, we design storage and distribution systems using selective rack for customers with a high SKU inventory but low to moderate turnover. 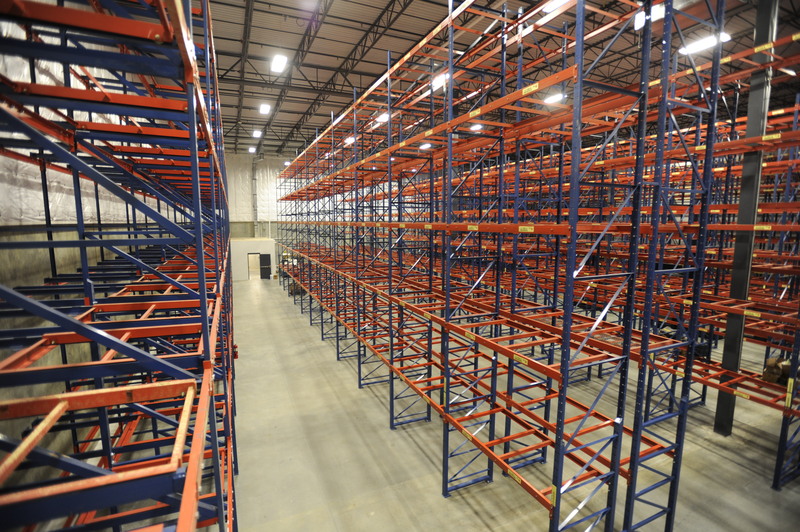 Most systems are configured for 2-3 adjacent pallets at aisle face and one pallet deep, though system depth can be configured to allow for additional pallets. We specify only trusted manufacturer’s products taking advantage of options such as structural, roll-formed, and high-quality pre-owned depending on client inventory and budget needs.